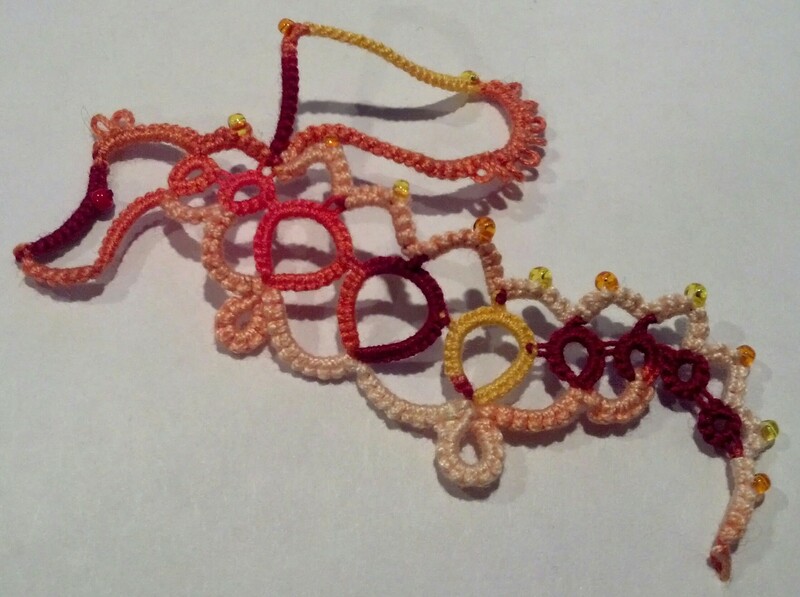 This week’s pattern was also created by Nicole (Penolopy Bulnick). 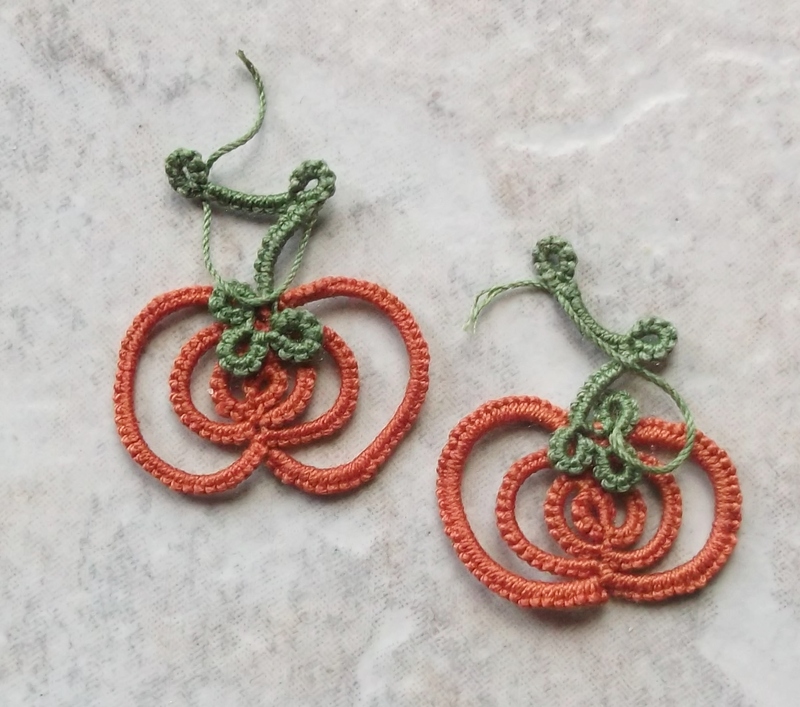 It is a fantastic necklace that will go well with her pumpkin earrings. Her instructable is written step by step for needle tatters. Shuttle tatters should be able to easily follow her directions too. Feel free to ask me questions if you run into them as I used my shuttles on this one. 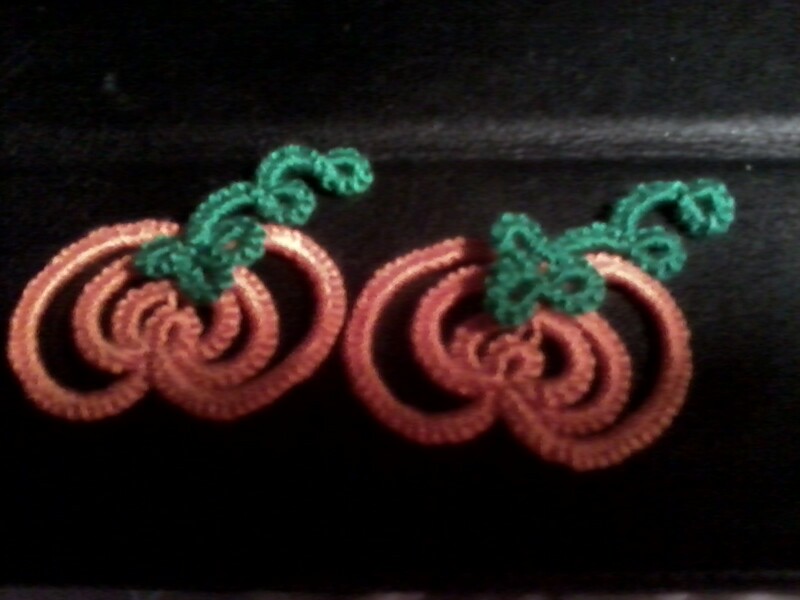 Pumpkins for Pumpkin Patch Necklace… I’ve still got some work to do before I finish it. I’ll be wearing it before the end of the week. I’ve been having fun making pumpkins. No completed necklace pictures for you yet. My pumpkins are still growing. 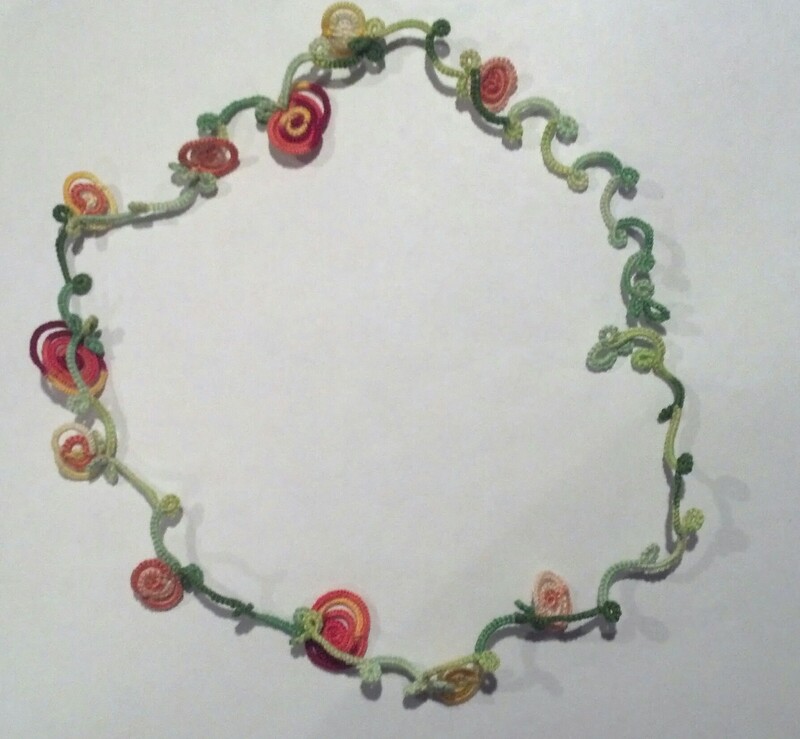 I’ll post pictures of my completed necklace when I finish it. So here is your chance to complete a challenge before me! 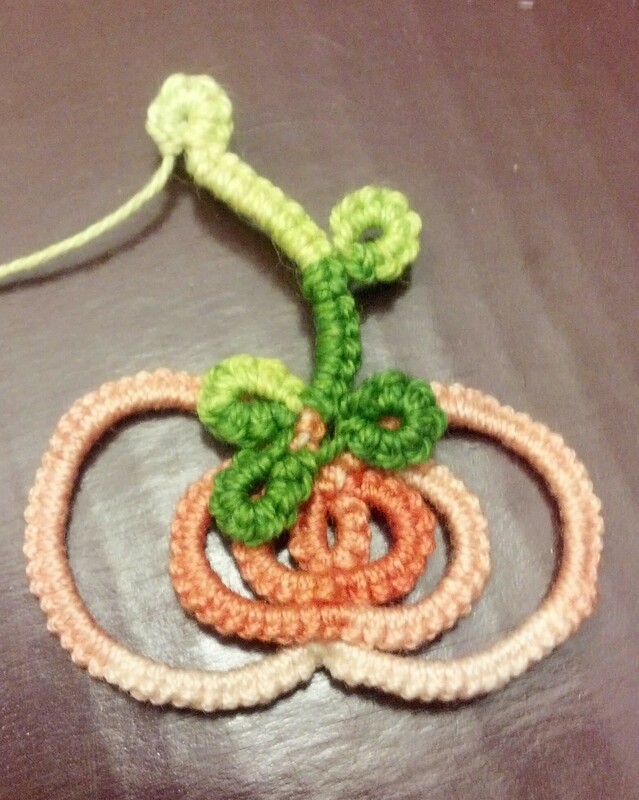 I’d love to see your Pumpkin Patch Necklace! I finished it! 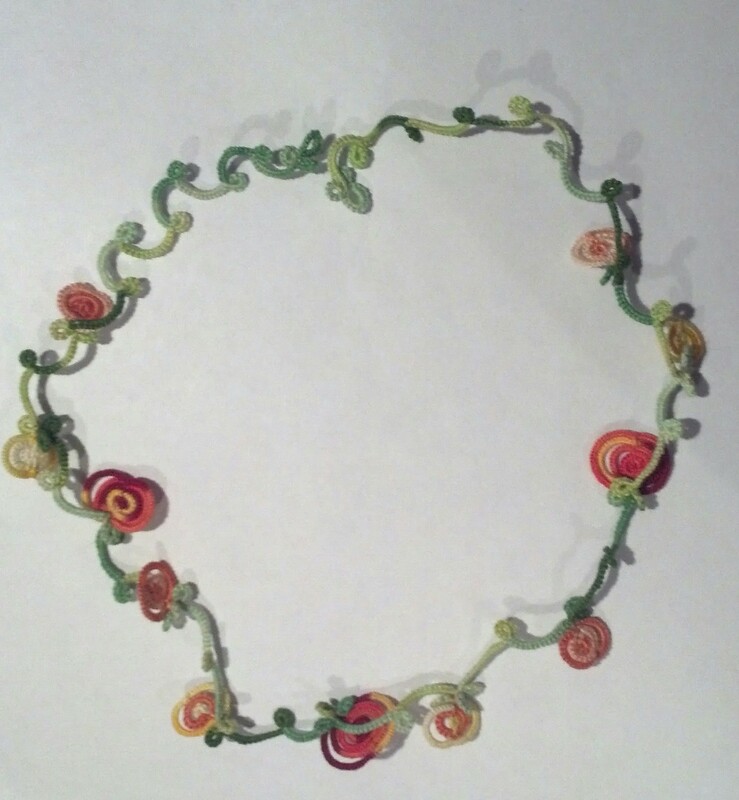 I have a wonderful fall necklace now! 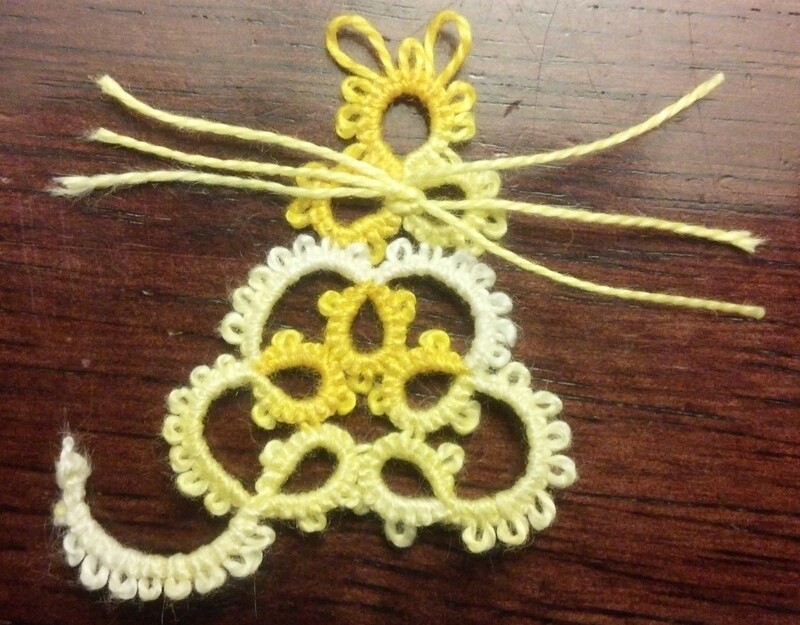 Thank you Nicole for sharing your wonderful pattern!